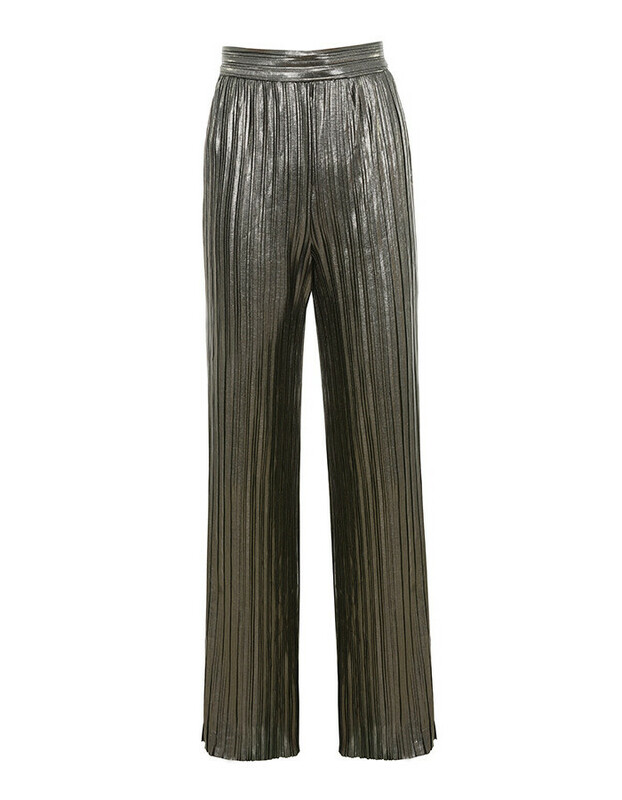 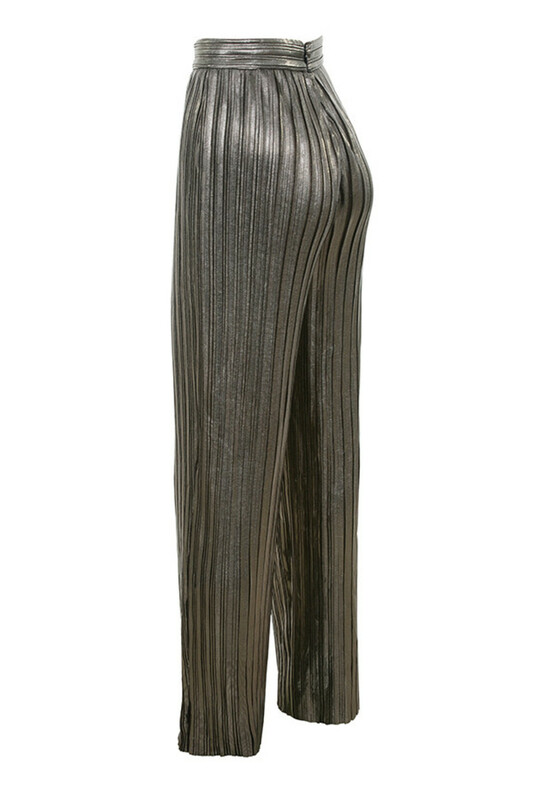 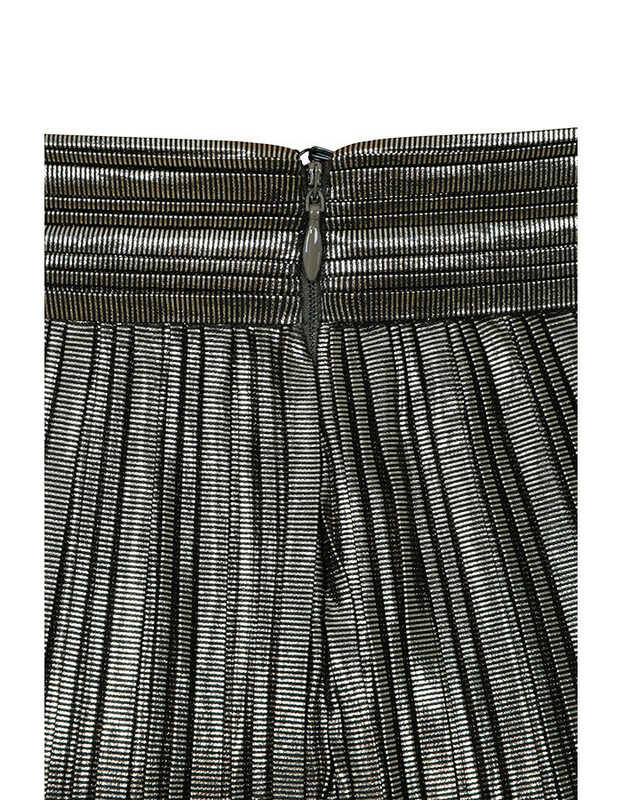 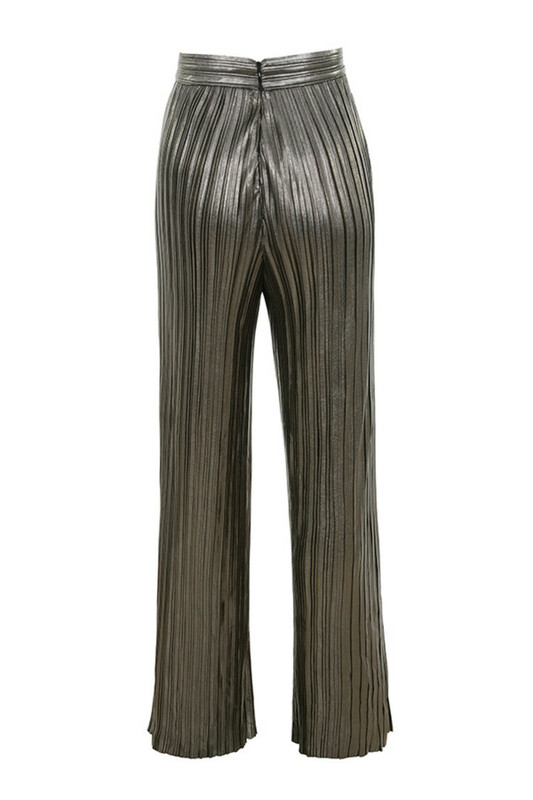 Crafted from a pleated plisse fabric, 'Shimmy' are super glam with a metallic vibe. 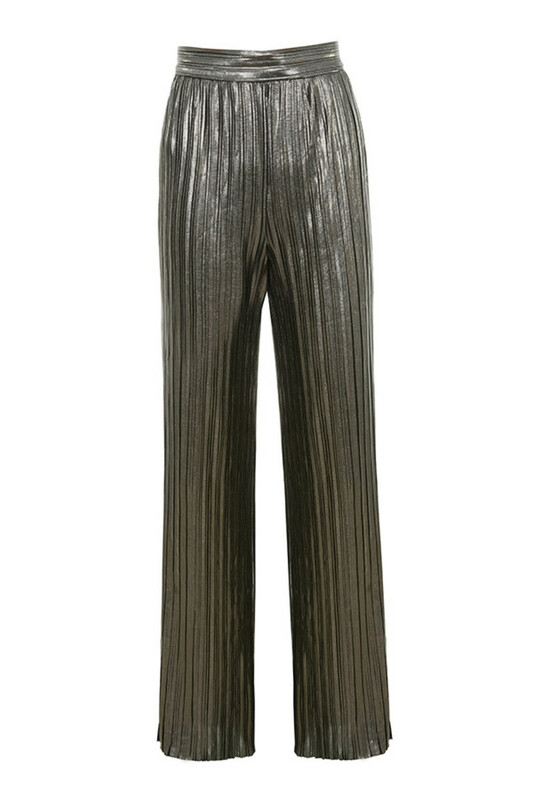 The nipped waistband highlights your waist and the loose tailoring to the trousers are super flattering. 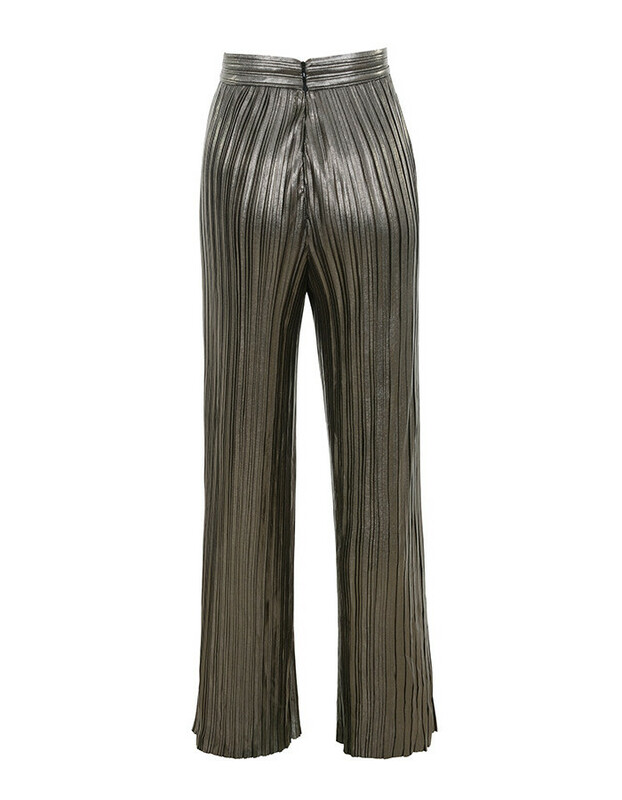 Wear yours over a bodysuit or cropped top. 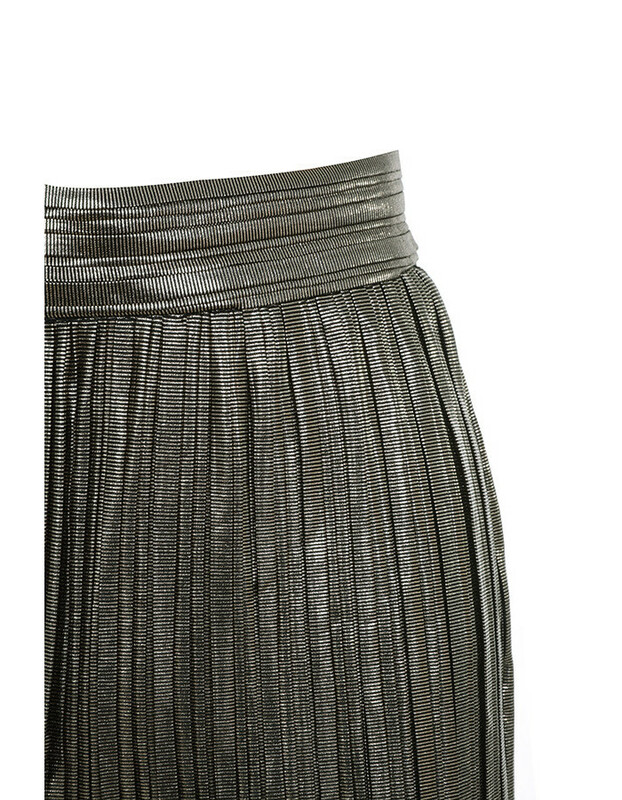 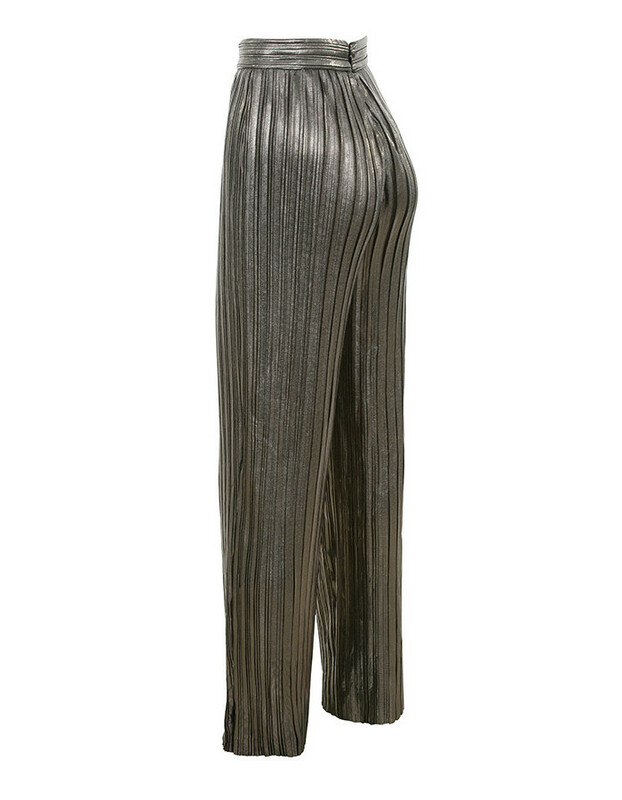 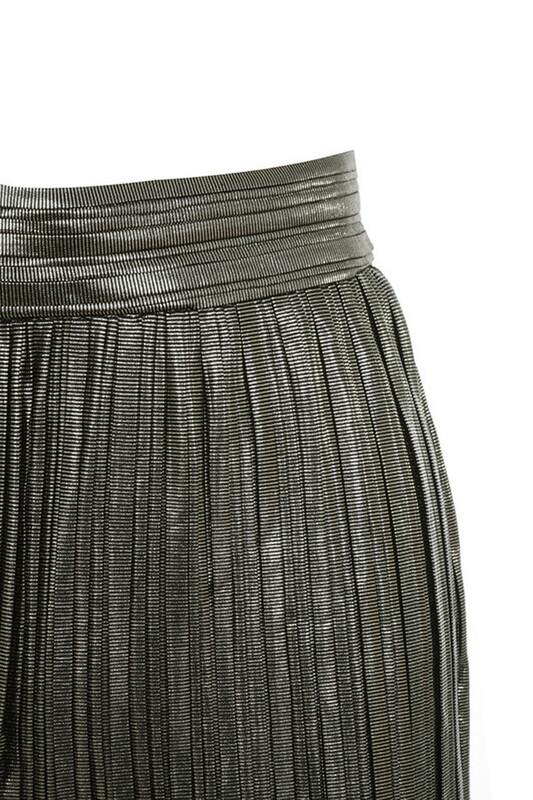 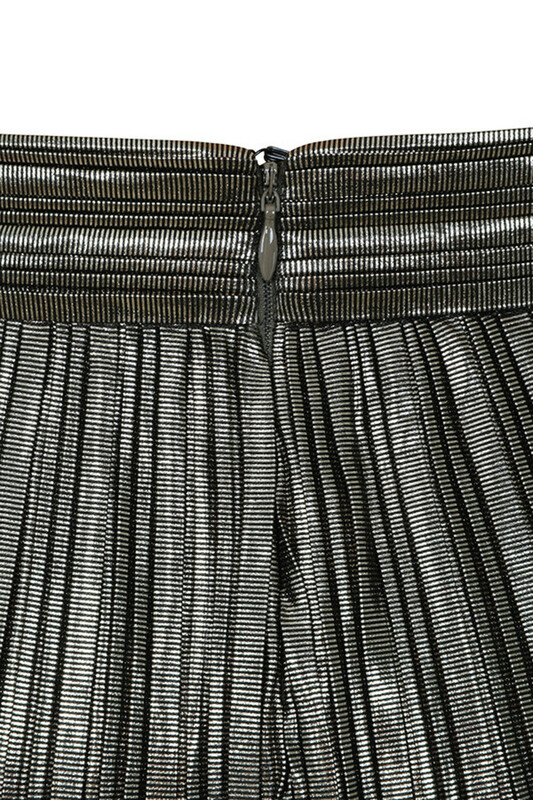 Made from pleated metallic fabric.